The UW–Madison Memorial Carillon concerts will resume at 3 p.m. on Sunday, May 28, with Sunday afternoon concerts on the second and fourth Sundays of the month at least through August. 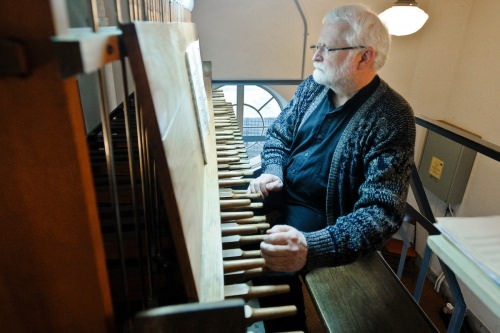 Lyle Anderson, carillonneur, will return after having retired from state employment in August 2016. Since that time, several safety, security and environmental issues in the 80-year-old tower have been addressed. 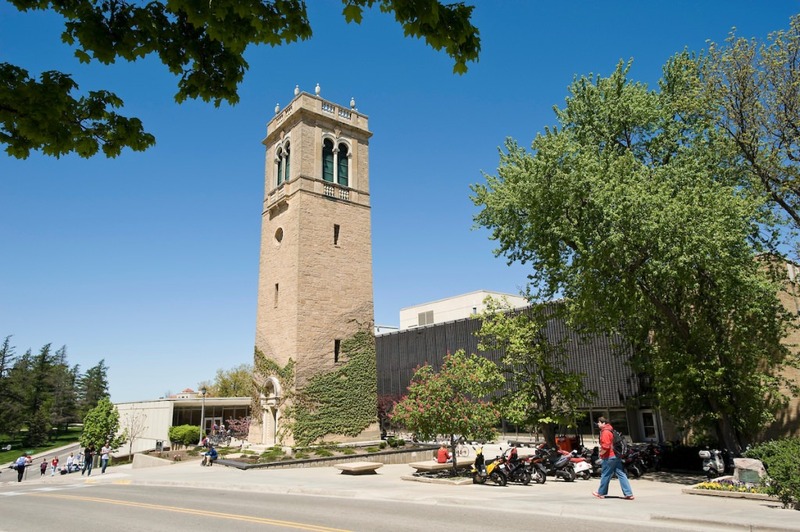 The process is ongoing, so public access to the interior of the tower is not currently possible, but the carillon is best listened to in the area near the tower, on Observatory Drive across from Bascom Hall. The UW Memorial Carillon Tower and its bells have been a symbol of the Madison campus for over 80 years. Early in the 20th century, thought was given to provide the dome then atop Bascom Hall with a chime of bells (about a dozen bells that would play melodies). After the dome burned in 1916, ten years of graduating classes, from 1917 through 1926, contributed their senior gifts, called Class Memorials, to this purpose. By 1932 it was clear the dome was never going to be rebuilt, but the fund had accrued enough interest to consider building a free-standing tower and furnishing it with a 36-bell carillon, an instrument with a long history in the area of present-day Belgium, northern France and the Netherlands, where it had reached a high degree of perfection in the 17th century. But by the late 19th century, even the art of making a well-tuned bell was completely lost, to be rediscovered in England in 1899. The firm of Gillett and Johnston, of Croydon, England, became a leading bell foundry and began installing carillons in North America in the 1920s, providing a set of 25 bells in 1936 for the University of Wisconsin tower. The tower had been completed nearly a year previous, at a cost of about $30,000. Although five additional small bells were added in 1937, by the late 1950s, four octaves of about 49 bells had become desirable to play most carillon music, so the carillon was expanded in 1963 to 51 bells, the additional bells cast by the French firm of Paccard, but with a keyboard that would accommodate 56 bells, paid for entirely by funds raised among Wisconsin alumni. The largest of the original bells cast in England weighs about 3,000 pounds, but it was always anticipated that eventually the carillon would be anchored by a bell weighing nearly 7,000 pounds. This was achieved in 1973 with the addition of five large bells made by the Royal Eijsbouts foundry of Asten, the Netherlands, who incidentally also replaced all of the French bells installed ten years earlier. All the bells in the carillon are stationary, being rung by clappers inside each bell that are connected to a fairly simple, completely mechanical mechanism of wires and bars to a keyboard in the room just below the belfry. This is arranged much like a piano keyboard except that the keys are rounded wooden batons played with the ends of a closed hand instead of with fingers. The lowest 18 bells can also be played with the feet, to expand the instrument’s musical versatility. Since the instrument cannot ever be played in any sort of privacy, learning and practicing are accomplished by having a second keyboard with the same dimensions as the “real” one, but striking only small metal bars that are the same pitch as the bells. Norris Wentworth ’24 led the committee that planned the tower’s construction and became the first “player of the bells,” serving until 1941. Then the carillon was played mostly on a voluntary basis by a series of students in the School of Music. In 1960 Professor John Wright Harvey became the first faculty appointed carillonneur, retiring in 1984, followed by Lyle Anderson in 1986, in a part-time academic staff position, until 2016.